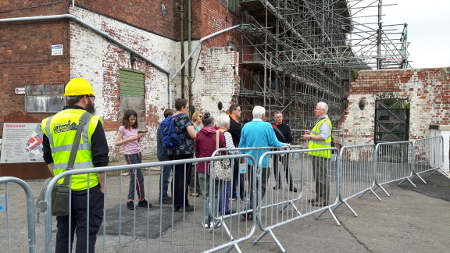 The Flaxmill Maltings will be open over the heritage open weekend of the 9th and 10th of September. As usual we will have guided tours, with an opportunity to climb to the top of the Jubilee tower, the Visitor Centre, an art exhibition, demonstrations of flax preparation, stalls from the Canal Trust and Wildlife Trust, Morris dancers, family friendly activities .......... and all of is this is free. 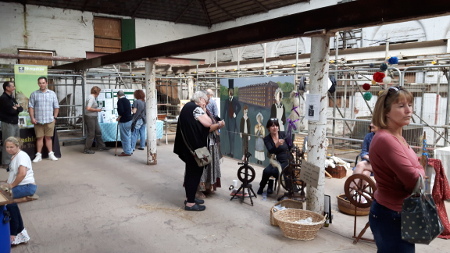 We will also have updates on the building work, and although the Main Mill will be out of bounds due to building works it's a chance to see up close the work in progress on the site. 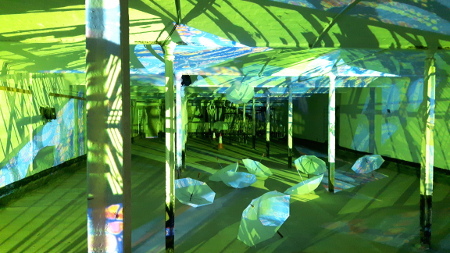 As in previous years we will also have an immersive light show, staged by Andy McKeown. This will be sited in the Flaxivity youth centre. There will also be refreshments in the form of hot-dogs and hot drinks, all reasonably priced. For more updates and to register your intention to attend you can sign up for the event on Facebook by clicking on this link.